Тhe Republic Public Prosecutor, Ms. Zagorka Dolovac, was in a worrking visit to The Hague from 28 to 30 May 2017. 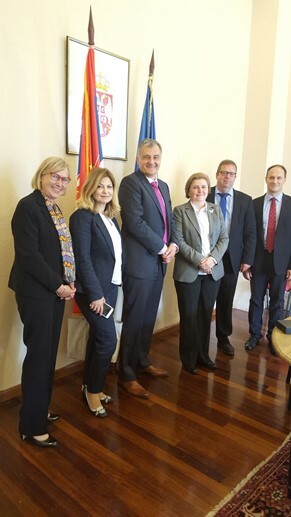 Ms. Zagorka Dolovac and Mr. Gerrit van der Burg, Chairman of the Board of Prosecutors-General, signed the Memorandum of Understanding between the public prosecution offices of the Republic of Serbia and The Kingdom of the Netherlands. During her visit to The Hague, Mrs. Dolovac met with H.E. Mr. Petar Vico, Ambassador of the Republic of Serbia to the Kingdom ofg the Netherlands.